Homemade frosting is always better. But sometimes, like today, you look at your calendar and realized you committed to bring 48 cupcakes to a school event and you have, like, an hour to get them done. There is no time to soften the butter. No time to run to the store for powdered sugar because you only have one cup. No time for homemade. That, my friends, is when you break out your favorite doctored cake mix and frosting recipes. I thought there may be one or two of you out there who might be as disorganized as me and could benefit from the, um, way too many shortcuts I’ve invented over the years. 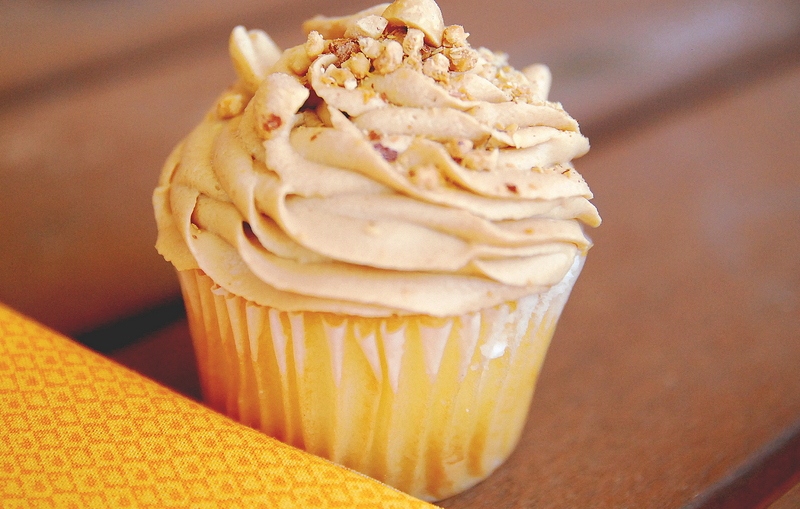 Today I whipped up (literally) a Honey-Roasted Peanut Butter Frosting. It was so darn good — no joke — no less than four moms asked for my “recipe.” Pshaw. Combine frosting, peanut butter and milk. 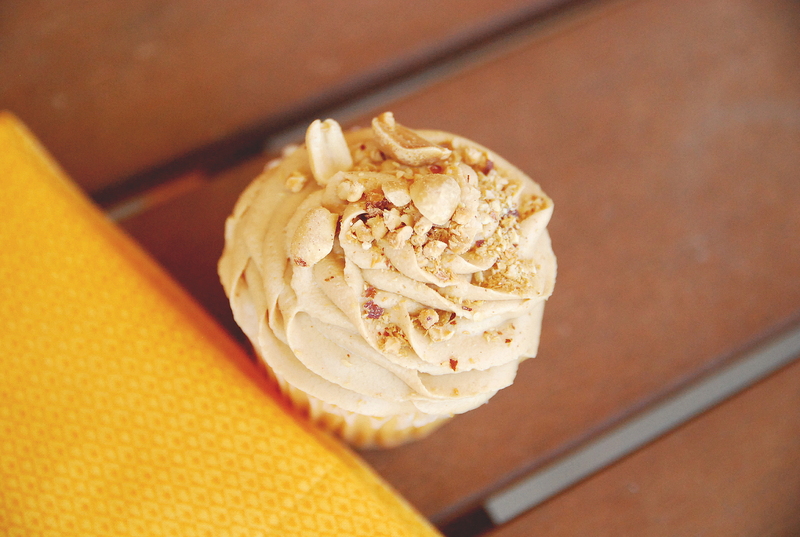 Pipe onto cupcakes and sprinkle with roasted peanut chunks and sea salt. Biscoff (Cookie Butter) Frosting – use same recipe as above, but sub Biscoff spread (or Trader Joe’s Cookie Butter) for the peanut butter. Omit salt and peanuts and use crumbled spice cookies on top. This is AWESOME! For homemade-like cream cheese frosting – blend an 8-ounce package of cream cheese into a 16-ounce can of storebought vanilla frosting. It enhances the flavor, reduces the sweetness and increases the amount of frosting. Try it with any flavor. Perfect for carrot cakes, red velvet cakes, spice cakes etc. For light and fluffy frosting – Mix a can of storebought frosting (any flavor) with half of an 8-ounce container of whipped topping. The result is so soft, creamy and easy to spread that everyone will think you made traditional cooked seven-minute frosting. For mocha-flavored frosting – add a tablespoon of strong brewed coffee to one can of frosting. Pipe on cupcakes and top with a coffee bean. For any other flavored frosting – Add 1/4 to 1/2 tsp. of your favorite flavoring extract to the storebought frosting to improve flavor. I especially love using a caramel extract and sprinkling sea salt over the top. Root beer extract is awesome too — top with a root beer candy or use a Pepperidge Farm Pirouette cookie as the “straw”. Thanks for tips, I’ve committed to making 30+ school cupcakes and prefer homemade to store bought frosting as well…. but there isn’t time today w/piano lessons and a garden to tend to. Appreciate the workarounds, I plan to try to whipped topping mix in. thanks again.